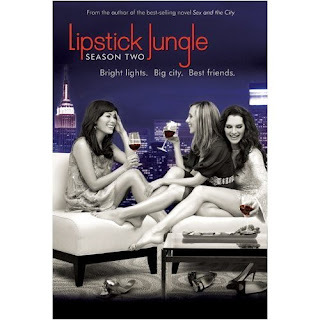 I'm still peeved that NBC cancelled the fabulous and improving 'Lipstick Jungle'. The show really began to find its stiletto'd feet but NBC squashed it without listening to the viewer fanbase. For shame! Seems smart women don't have a place on TV screens nowadays. Now all we have left are the DVDs... the season 2 set came out at the beginning of this month. Well worth a peek, season 2 is much MUCH stronger, more fun and cheeky than season 1. And yes, Andrew McCarthy has aged *really* well! Its not SATC and it suffered from being based on Candice Bushnell's book which wasn't SATC. We didn't even get it here I don't think. If we did, the marketing must have been awfully underwhelming for it to just slip under the radar.